Highlands is not a place you stop on the way to somewhere else. 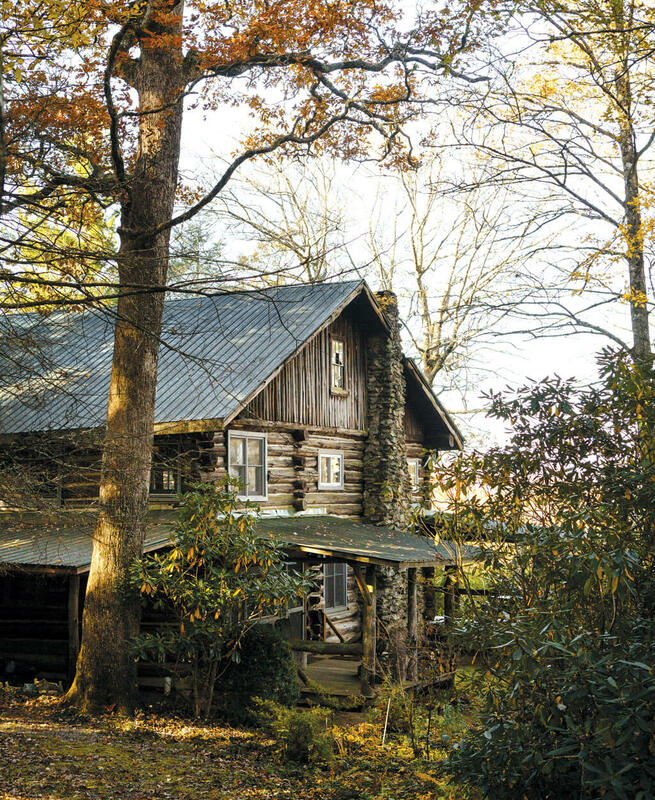 Dotting the top of the western North Carolina plateau at 4,000 feet and accessible only by a twisting rivulet of road, the town has long been a tony mountain getaway. It was founded in 1875 as a summer escape. Now, among its primeval forests, creeks, and rhododendron thickets, million-dollar homes overlook misty vistas and cluster around lakes and line the Donald Ross-designed golf course. But in the first two decades of the 1900s, when rising fortunes brought to Highlands families with enough money for summer homes, tranquility and isolation were the selling points. A local carpenter and home builder named Joe Webb, who had learned cabin construction from his grandfather, saw an opportunity. 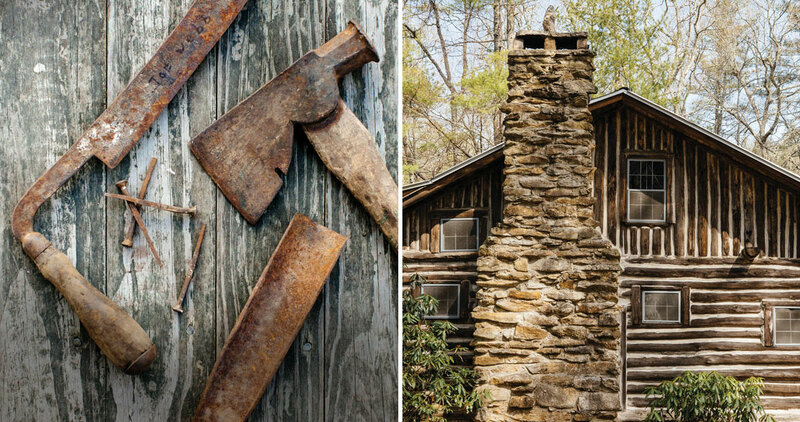 From the early 1920s to around 1940, Webb built some three dozen rustic cabins in Highlands that are still standing today. Owners would give him general instructions, their likes and dislikes, hopes for a window here and a fireplace there, but, mostly, Webb built what he wanted, letting the logs, landscape, and his own instincts dictate the end result. A quick and jolly barn raising this was not. His process was painstaking, exacting, and, necessarily, slow. Once the logs were stacked level and a roof was put on, Webb would let the structure cure for up to a year. The logs, he believed, needed to settle, and only when they’d grown accustomed to their new life as walls would he begin chinking them with cement and working on the interior. Adorned with intricate laurel and rhododendron branch work on porches, balconies, and stairways, the cabins’ interiors and finishing touches are as notable as their exteriors. Because furnishings were difficult and expensive to transport, Webb began making furniture for his cabins, too — tables, chairs, and bed frames usually crafted from local golden and silver birch. One cabin could take years to complete, but owners appreciated that each one was obsessively designed down to the smallest detail. “People love them because they’re unique,” says Terry Potts, a real estate agent whose family goes back generations in Highlands. “It’s not a cookie cutter house. Everything he built has some real quirkiness to it.” Potts’s family owned a notable Webb cabin that was built on top of a stone house. It was one of the last homes he built — the mortar on the outdoor ice house is signed with his name and the date, 1941. And the first house Potts’s parents owned was a Webb-built slab-side log cabin on Mirror Lake. Webb’s distinctive style and workmanship are still recognized as something rare. “It’s like art,” Potts says, “but he wouldn’t have thought of himself as an artist.” Webb bought 114 acres just outside of town, with a farmhouse to raise his family, and began building cabins to sell. This property, known as Webbmont, remains a kind of living exhibit of his architecture. The Schiffli home is there, along with many other seasonal residences. Webb sold all the parcels and moved down the mountain to Ellijay, where he died in 1950. 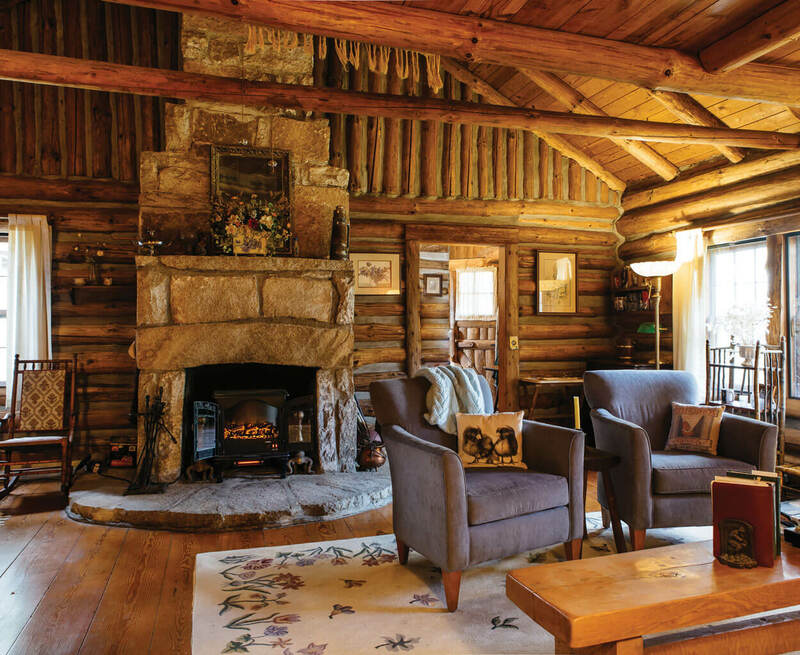 But visitors to Highlands can still get a feel for his work at several cabins that have been turned into businesses: The Log Cabin restaurant and Highland Hiker shop, in particular, preserve Webb’s design and carpentry. And beyond his own buildings, every intricate laurel branch balustrade or porch railing, every cabin with perfectly trimmed log ends, is a nod to Webb’s artistry.